VAN JENSEN, the writer of GREEN LANTERN CORPS for DC Comics and the PINOCCHIO VAMPIRE SLAYER graphic novels, was a guest at the Charlotte HeroesCon this year. 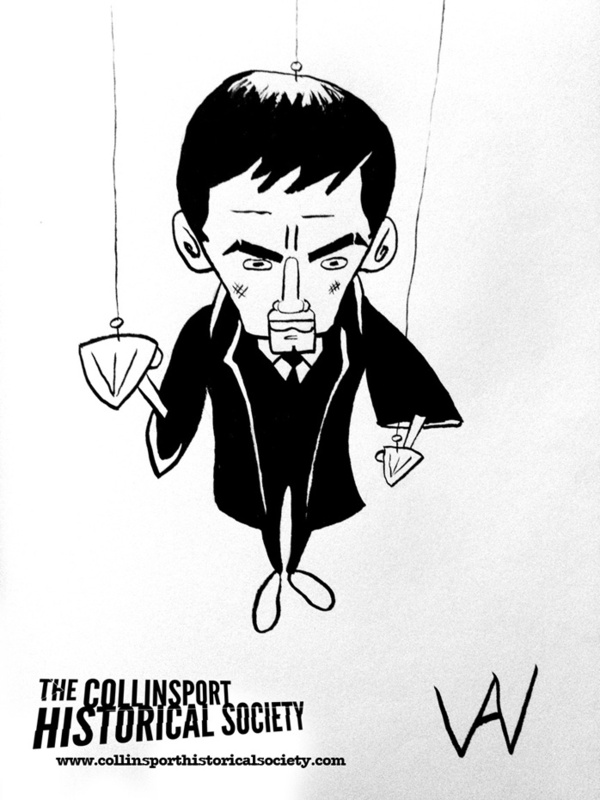 Even though he's a writer by trade, Van still knows his way around a pencil, and provided this sketch of "puppet" Barnabas Collins for my collection. We spoke with Van and his PINOCCHIO VAMPIRE SLAYER partner DUSTY HIGGINS back in February for our podcast, which you can listen to HERE.